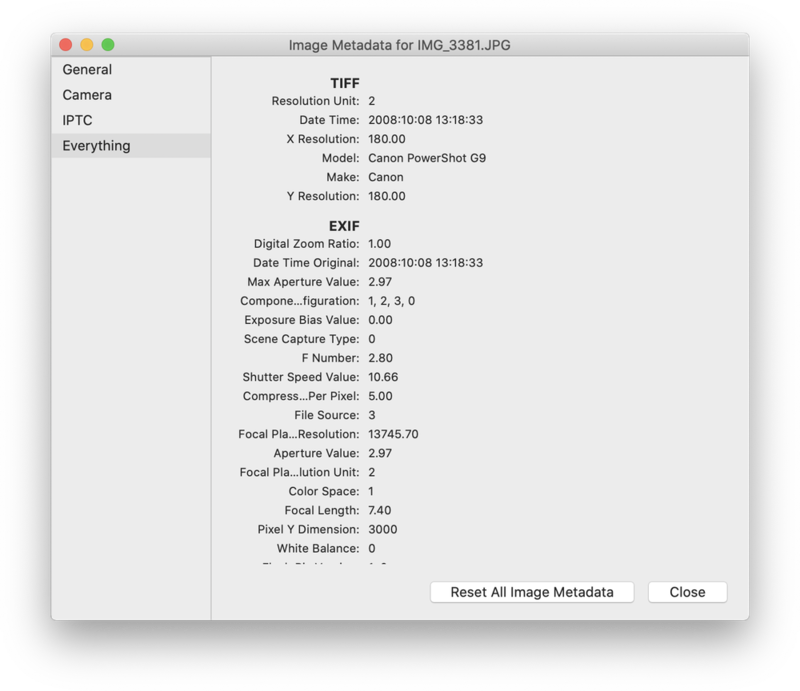 To view and edit image metadata, go to the File ▸ File Info…menu item to bring up the image metadata edit window. From there you can navigate to the general, camera, IPTC, and everything categories to add, view, or remove information associated with your image. Image metadata can also be removed upon web export. Go to File ▸ Export ▸ Web Export, and check the ‘Remove metadata’ box.